JONATHAN – Welcome back to Fan Film Factor, Matthew. Congratulations on a third most excellent fan film effort! MATTHEW – Good to be back! Thank you for having me, and for the excellent write-ups on my previous fan films. JONATHAN – First up, I’m curious where you filmed all of those outdoor locations for Last Survivor. Are they close to where you live? MATTHEW – I’m currently living in the forsaken desert of Southern California. The desert where we shot is only about 3 minutes from my house. JONATHAN – I thought I recognized that vegetation! So we’re kinda neighbors…although I have to drive an hour or two to the forsaken desert. So what do you do for a living, and what training, if any, do you have in filmmaking? JONATHAN – What originally got you into screenwriting? MATTHEW – A friend gave me the Final Draft script-formatting CD. I’ve been popping out screenplays ever since! JONATHAN – Really? That’s all it took? MATTHEW – Not exactly. I was actually looking to go through a cinema program until I took a writing class with most of the people in it from the cinema option. I specifically remember some snobby film students laughing and pointing out problems with The Wizard of Oz (“Worst cut-on-action ever” one of them said). This is The Wizard of Oz we’re talking about, a perfect movie if I’ve ever seen one. To hone in on little details like that in the face of such a perfectly realized story indicates a misplaced sense of priority. So I thought that comment was a little odd, but that moment made me want to really go all-in with the screenwriting craft because I figured you could be the most technically proficient director in the world, but it’s really meaningless if you do not have a sense of storytelling. I wanted to get good at that, then teach myself how to do all the technical stuff later. Story is #1. If you don’t have a good story, all the fancy camera moves in the world won’t save your movie. JONATHAN – So you bailed on going the academic route? MATTHEW – Pretty much. I taught myself how to edit while making short films and a couple of zero-budget features for fun right out of high school with friends…which probably kept me out of trouble more than anything else. I learned a lot just by doing, and making mistakes. Those first two features out of high school I consider my film school. I ran before I could walk, making movies before I got good at scripts, but it was all a learning experience, and also a fun thing to do with friends. Then I worked for a while editing other people’s projects. From that I feel like, I got pretty good at it since most of the stuff I edited (my own material included) was filled with problems that needed to be corrected in the editing. I learned a lot of useful tricks that way. JONATHAN – Cool! 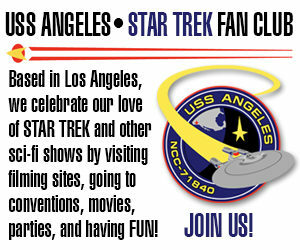 So let’s shift focus to your three Star Trek fan films. Did you always plan for the Survivor/Survivors/Last Survivor projects to be a trilogy? MATTHEW – I did not have a plan for a trilogy. The first Survivor was just a one-off. Back in 2009, I planned to make an original sci-fi short about a space marine stranded on a desolate planet with a creature roaming the surface. Eventually he’d meet a crazy, half-starved, cave-dwelling marine and come to some hard choices regarding their food supply. Well…that short didn’t happen because my FX guys who were going to do a creature suit and numerous other effects pulled out at the last second, leaving me with not much except for the desire to make…something. I’m not sure exactly where the idea came from, but at some point I realized that I had a uniform, tricorder, phaser, and some other props…why not make this in the world of Star Trek? I had never done a fan film before, but it just seemed to fit. I rewrote the crazy marine to be a coldly logical Vulcan, and went about making Survivor in the most cost-efficient (read: free) manner possible. Survivor didn’t take that long to make. JONATHAN – What about the second film, Survivors? Survivors came about because of the strong response to the original over the years and people asking me to make a sequel (I listened). I had a script for Survivors in 2014, but we didn’t shoot until the summer of 2016. Many trips to Crestline forest over six or eight weekends to get all the footage, then some pretty significant editing to keep it moving, but also because of the 15-minute time limit. I think the guidelines came out around the time I was already shooting Survivors, so we had to be conscious of that. Speed up our delivery of dialogue and so on. Survivors was shot in a fairly close block of weekends. JONATHAN – So the guidelines made you change the script? MATTHEW – Survivors actually evolved a bit during the writing process. I had a very ambitious (as always) story that was pretty dark and cerebral. 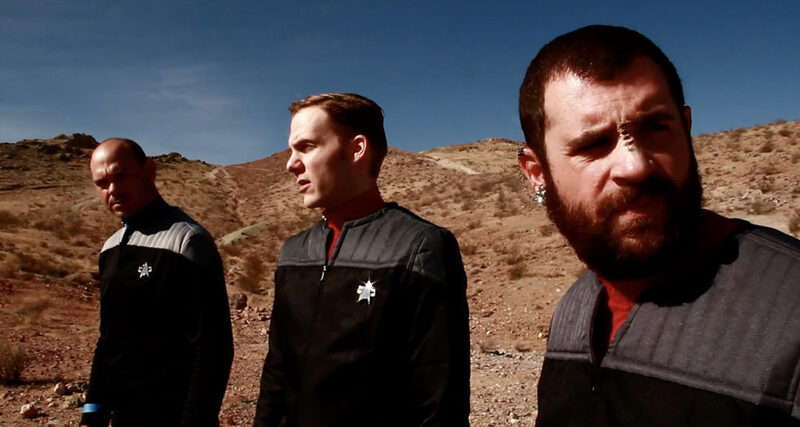 Thinking back, I may call it a little pretentious (think Terrence Malick meets Star Trek). It was completely rewritten to be the more action-oriented movie that you saw, but it also evolved as we shot it. I may use the bigger story points of the older draft for a future Trek short because there was some good stuff there. But with Survivors, it came down to the simple stuff: What do I want to say with this story, and is it worth making? What means do I have available to do it? Can I actually make this with what I have available? The forest location came about mostly because I didn’t want to use the desert again. I had bought uniforms and props for the more ambitious draft of Survivors and decided to rewrite the script based around the props and costumes we already had. Thinking inside a box, but trying to do as many cool things within that box as possible. JONATHAN – And that leaves Last Survivor. What’s the “secret origin” of that one? MATTHEW – Last Survivor came about mostly because I had a pretty good idea for a story and wanted to see it realized. I wanted to fill this movie to the gills with references to Star Trek movies and shows so people could have fun spotting them. Some of the references were pretty obscure. I wrote the script January-or-so 2018, then rewrote it to make it more “shootable.” No crowd-funding. My philosophy is to just go out and do it with what you have. This one was more off and on. Relaxed, but intense. MATTHEW – I had the script and props ready, so over the course of about six months, it just came down to when I could get certain scenes filmed. We had a problem with uniforms shipping so that held things up a bit. Whenever we could gather the troops to get a scene in we just did it. I had a shot list and just started checking off things when time permitted. 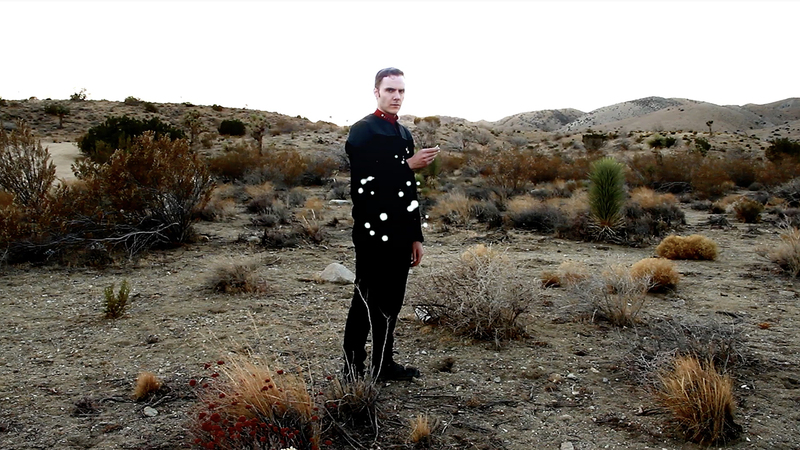 All that stuff on the desert planet with Nick [Cantrell] and Travis [St. John] was shot in two days in November. Having all the pieces in place helped. We were always prepared. It was just a matter of getting all the people together, and reconciling the large ambition with the limited means. JONATHAN – So when did you begin shooting the footage? JONATHAN – Did the script change a lot between the first draft and what you ended up filming? JONATHAN – What was different about your third fan film from your first two? More specifically, what did you learn from your earlier efforts, and how did that experience influence what you did with this latest film? MATTHEW – The first was a bit of a fluke. Survivors was only possible because of the previous short I made, Old Gun. New West, where I used a higher quality camera and had to teach myself how to do optical effects. Survivors had the benefit of Snake Force Pictures, who did the CGI. They were unavailable this time, so undaunted, I had to do the visual effects myself using every editing trick I could think of. From a nuts and bolts standpoint, Survivors made Last Survivor possible. Each movie I make builds off the others. There has to be some sort of innovation, however small, to justify me making another. I like for each movie to challenge me with something I hadn’t done before. With Survivors, the big innovation was CGI. I don’t know how to do it. I’m not an animator (though I did some frame-by-frame work on my and Dan’s eyes for certain scenes when we’re being taken over by the energy-alien). Snake Force did a phenomenal job with the effects in Survivors, and some of their work from Survivors carried over to Last Survivor. 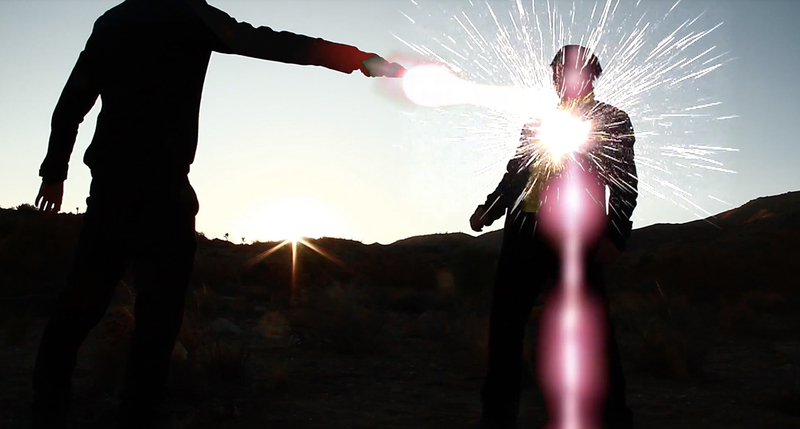 The lack of CGI effects in Last Survivor led to me having to try different types of photographic effects, compositing, using other effects like sparks to hide the matte lines from phaser blasts. I like the DIY ingenuity that it forced us to adopt in order to get the movie done when I wanted to have it done (before 2019, so December 30 was pretty close!). Next week, our in-depth interview with Matthew Blackburn concludes with discussions of overheating cameras, wardrobe malfunctions, and risking your life for the perfect fan film shot! 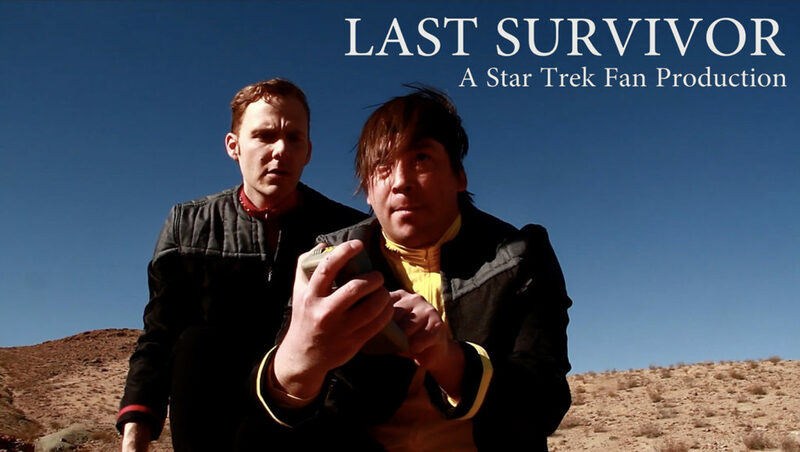 Also, will this really be the last Survivor fan production from Matthew, or is there more to come? Previous Previous post: Deep Space 9 documentary WHAT WE LEFT BEHIND gets picked up by SHOUT!